We were married September 12, 2009 in the same church, and by the same pastor, as Erick’s parents in 1976. I think most everyone would say their wedding day was one of the best days of their lives — and it certainly was true for us. 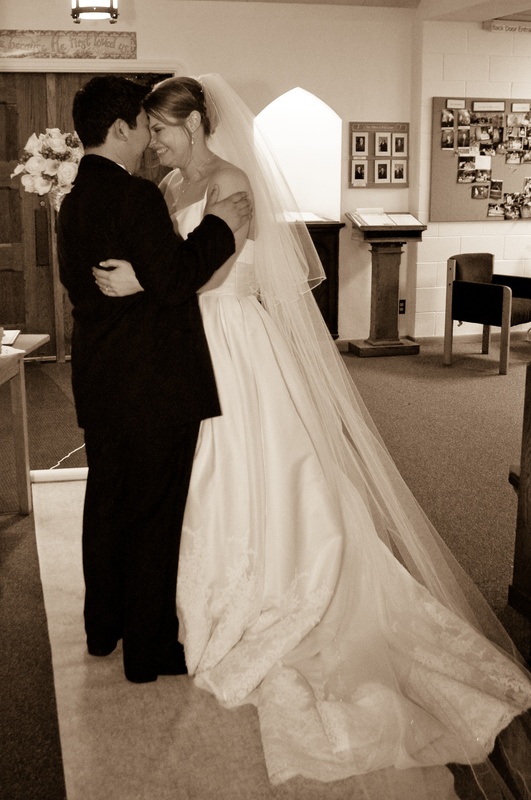 It was a difficult task, picking a “favorite moment” from our wedding. I crumbled and had to pick a few so bear with me. The first one has to be the first time I saw Courtney in her dress. The anticipation. I felt like a child waiting to see the surprise for their birthday … except times a thousand. I also am really partial to the picture. I feel like it absolutely captures the moment and how I was feeling. Courtney’s kind of hazy in the background, reflecting how I’m not sure what she looks like in her dress and my imagination is starting to bring it into focus. 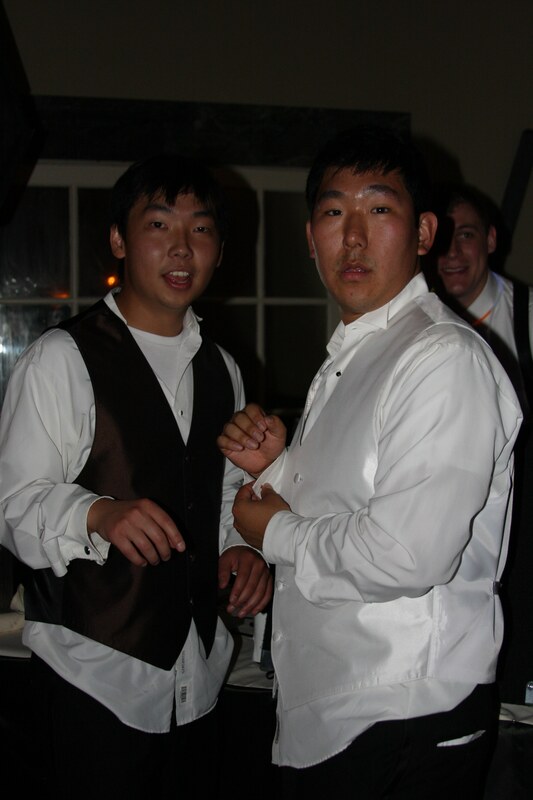 The second one was this moment I shared with my brother on the dance-floor. We were trying to get the DJ to play some song that my uncle will dance to and do the splits (the only song). It just felt very “Erick & Adam back at it again” kind of moment. Like we were getting into mischief. It was just a great moment that I got to have with my bro. It was just the beautiful moment of looking out and feeling like you’re getting a small glimpse of what Heaven will be like. Everyone you love in one room for the biggest wedding we’ll ever attend. I have three favorite moments of the day. I mean, the whole day was great — minus that 20 minute period of the misplacement of our marriage license that we never did find until the next day — but other than that, it was perfect. I probably could have done more than three, but for the sake of space and just to respect your time, I’m sticking with the whole “three’s a charm” idea. Second, the moments with just me and my Dad. Wedding days are hard for Dad’s. And I have to be honest, I am a little bummed that I never set aside time before the ceremony with just him and me. 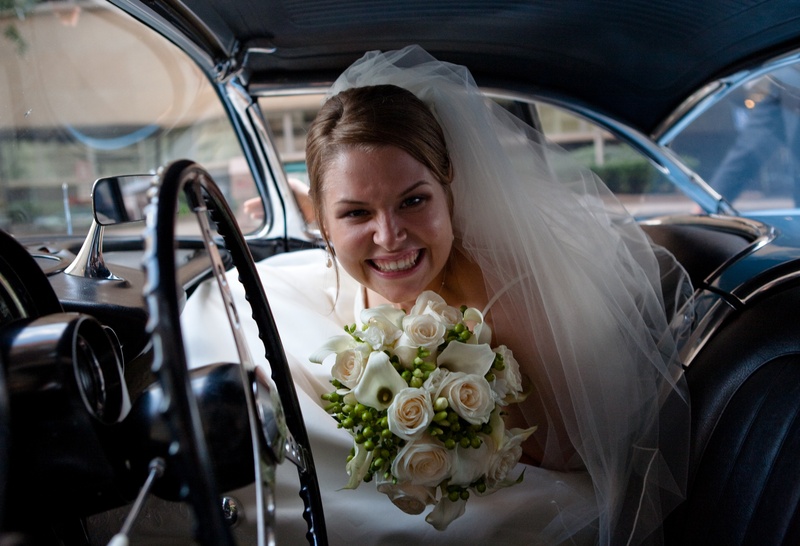 So this moment was after the ceremony, after the birdseed, and after the corvette ride around the block. This was when everything was settling down and we were getting ready for more pictures and driving to the reception hall. 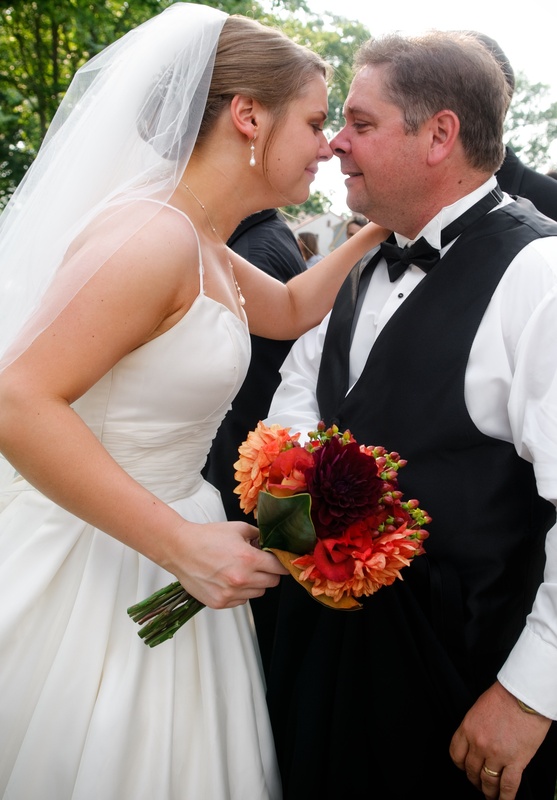 Dad and I have “nose-kissed” since I was a little girl. It only seemed fitting. Third, the arrival at the reception hall. This was probably the most excitement I had felt in my heart the whole day — it’s all over my face too. I of course was excited for the ceremony, but I was also nervous. But by this time, the nerves were gone and I was just excited to go hang with all of my favorite people in the same place. Weddings have this effect on people. ← What are you trusting in?